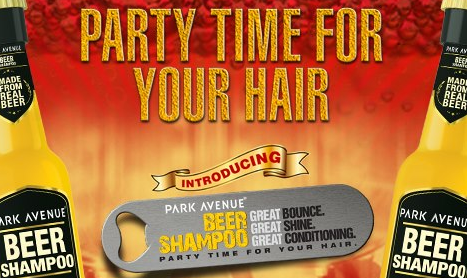 Park Avenue Grooming has launched its "Beer Shampoo" and it's promoting the shampoo via a Facebook app. We review the Facebook campaign. Personal care brand, Park Avenue Grooming is on its next step with publicizing its latest release of “Beer Shampoo” via Facebook. Now, shampoo I understand as well as I do beer. But Beer Shampoo was something I couldn’t figure out for the love of god. So donning my Sherlock Holmes Hat I went out to do some research. Park Avenue, on its Official Facebook Page has been doing strong publicity of its upcoming shampoo (Yes, it’s a shampoo and not beer! ), Beer Shampoo. Starting off initially with increasing the public curiosity about the product, they have now started with a contest on their page, headlined with “Party Time for Your Hair”. 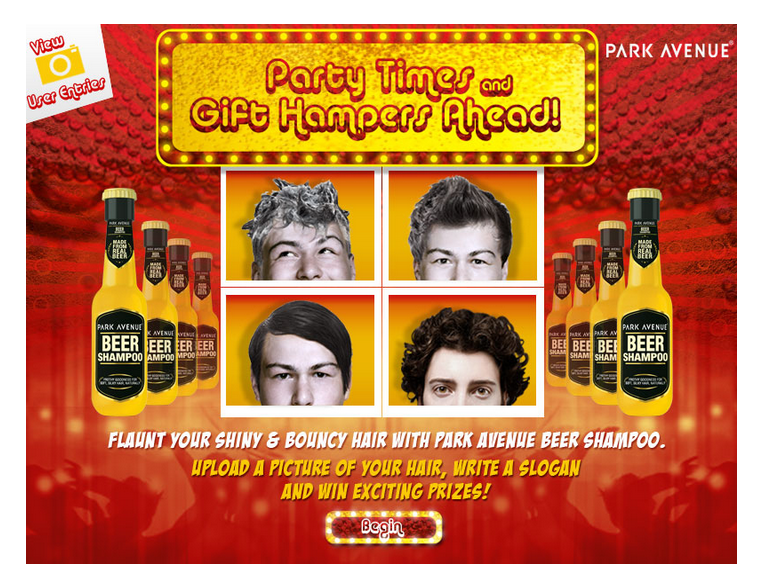 On going to the FB App ‘Happy hair’, one would be greeted with a simple cover page with the contest explained in two lines – “Flaunt your shiny and bouncy hair with Park Avenue Beer Shampoo. Upload a picture of your hair, write a slogan and win exciting prizes“. That’s all there is to it. You do need to ‘like’ the page to able able to access the app. On moving over to the next page one would be asked to upload the pic and submit the slogan. No questions asked. Out of the valid entries received during the contest period from the participants, Park Avenue would select the 3 most creative entries and award the prize to them. This, again, is made clear only on their T&C page. You can also view the entries made by others. I doubt whether Park Avenue is moderating the entries. When I went through the entries it contained everything from random internet images to photos of photos to even nature wallpapers. Weird! It seems Park Avenue is strongly focusing on this campaign. But at the same time they’re taking care not to spam everyone with just posts related to this campaign. Mixing up the content real good. They even have an online store for buying the Beer Shampoo. For the product it is aimed for, I’d say the campaign being run is decent enough. Up to the mark and focuses on what is being braded. There aren’t many ideas in the book on how you can brand a shampoo without focusing on hair style! And they have done good to keep the interface and steps to submit easy and simple. No hidden agendas. However, they better moderate the entries. One thing which I’d say they could do good would be to explain/introduce to the audience more about the shampoo. Since its a product which directly affects your hair, better not to leave any uncertainties with the public on its contents. Although the app ‘Beer Shampoo‘ – designed like a Facebook page itself with clickable apps – does talk about the product, it does not convince strongly. Not many would buy it just cause of the “Beer appeal”. I really look forward to more campaigns from Park Avenue in future. Mainly because they haven’t disappointed with the present one. What do you think about the Beer Shampoo campaign? Do let me know in the comments. How Bingo’s Tangles Promotion With A Half Page TOI Ad About Its Facebook App Missed The Point?